Our Metaphysical store offers the best Crystal Quartz Double Terminated Chakra Pendulum. It is help for enhancing the healing with the help of meditation. This is the best Healing Product. 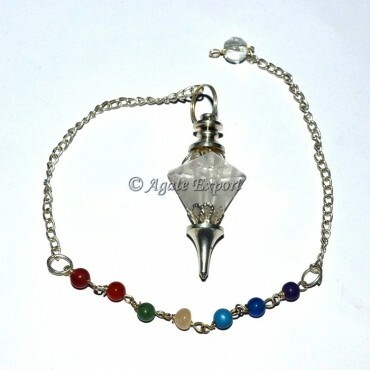 Crystal Quartz is help to extend nervousness and also easing a tension. Place the order today at agate export. Crystal Quartz V Shape Pendulums.